For many motorcycle riders, the classic bikes will always be the best — there’s even a Motorcycle Hall of Fame in Pickerington, Ohio, celebrating some of history’s most iconic motorcycles. But innovation in motorcycle design has not stood still, and today’s motorcycles consistently deploy improvements in technology and performance. Here’s a brief look back at some of the major advancements of the past 100 years, plus a glimpse of what might be coming next. While motorcycles of various types have been around since the late 1800s, many of the important safety and performance features were added within the past 100 years. Things like lines painted on the roads and stop signs helped make roads safer in the 1910s, but it was the 1920s that saw a major advancement in the technology of stopping. Front Brakes: In the early 1900s, motorcycles had brakes on the rear wheel only, which worked just fine on the bikes of the time. But in the mid- to late-1920s as motorcycles got faster and more powerful, additional stopping power became more of a priority. According to the National Highway Transport Safety Association (NHTSA), Harley-Davidson was the first motorcycle manufacturer to add front-wheel brakes in 1928. The company’s Model JH boasted a front brake operated by a hand lever to provide riders “double safety” and “smooth and velvety” stopping, according to Harley-Davidson.com. Standardized Controls: Before the 1970s, there were no federally mandated standards for motorcycle controls, according to the Motorcycle Safety Foundation (MSF). Manufacturers designed motorcycles with the clutch, brakes, turn signals and other controls that could be positioned in various places. Since 1972, Federal regulation has set out where motorcycle controls must be placed, helping to make it easier and safer to switch from one motorcycle to another. Fuel Injection Systems: American cars began to feature fuel injection systems in the 1950s, according to the Petersen Automotive Museum. It took much longer for electronic fuel injection technology to be deployed in motorcycles, which continued to rely on traditional carburetors. In the early 1980s, the prospect of tighter emissions regulations from the Environmental Protection Agency caused motorcycle manufacturers to turn to fuel injection systems, which use sensors to help ensure fuel is burned more efficiently, according toRideApart.com. Antilock Braking Systems (ABS): The NHTSA explains that Antilock Braking Systems (ABS) automatically control motorcycle brakes to help prevent the wheels from locking up during sudden braking. RideApart.com says that ABS technology was applied to bikes in the late 1980s — not long after it was developed in cars. A more recent development in motorcycle technology is “cornering ABS,” a type of ABS that BMW made available on production bikes in 2014 that helps prevent wheels from locking even when brakes are applied quickly on corners, says MotorbikeWriter.com. Dual Compound Tires: Motorcycle tires can wear unevenly, according to Rider Magazine. Because most bikes spend more time traveling straight, the center of the tire typically wears faster than the shoulders. Harder tires generally last longer, but may not give as good a grip when turning. Developed in 1994 by Michelin for use on its racing motorcycles, dual-compound tires combine harder rubber in the center of the tire, improving durability and tire life, with softer rubber on the shoulders that typically grips better on corners, according to goodbikers.net. Airbags: The introduction of airbags to cars was a major safety advancement. However, creating an airbag for a motorcycle presents some obvious challenges. MotorbikeWriter.comexplains motorcycles airbags are being developed, but the technology hasn’t spread widely. Other motorcycle and safety equipment manufacturers are working on vests, worn by the rider, that use sensors to deploy a wearable personal airbag in the event of a collision. But, as of 2016, these technologies have not yet been widely adopted. Traction Control: Traction control is another relatively recent safety innovation for motorcycles, which can provide some additional protection against skidding, according toAutoEvolution.com. In 2008, Ducati was the first motorcycle manufacturer to introduce traction control in a production motorcycle, says motorcycle.com. Traction control uses the sensors in a motorcycle’s ABS to measure the speed at which the two wheels are spinning. 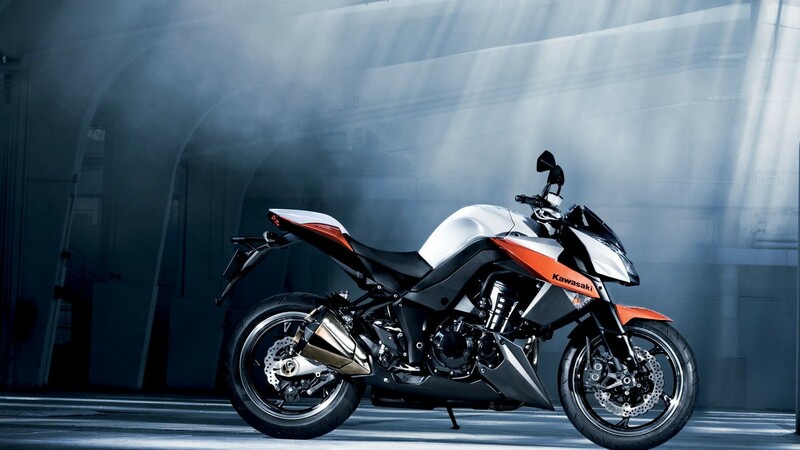 If the two wheels are running at significantly different speeds, traction control reduces power to the rear wheel (which is most likely to lose traction because it’s powered by the engine), helping to improve stability for the rider. Dynamic Brake Lights: Dynamic brake lights are meant to help indicate how hard a motorcycle is braking by utilizing a two-stage brake light system, according to the British Motorcyclists Federation. In many dynamic brake light systems, one set of lights is engaged during ordinary braking, while another set is turned on when the bike gets closer to a standstill. This provides an additional warning to trailing vehicles that the motorcycle is decelerating very quickly and/or coming to a complete stop. In 2015, BMW introduced dynamic brake lights for six of its 2016 models. Hubless Wheels: Missing the spokes we normally associate with motorcycle wheels, hubless wheels look futuristic. Jalopnik.com explains that instead of spokes, hubless wheels have a rigid inner ring attached to the rotating part of the wheel. It’s not all for show, either — the advantages of hubless wheels include reduced stress on the motorcycle’s structure, improved steering accuracy and less vibration, so they may catch on more widely, according to Jalopnik.com. The bottom line is that motorcycle are constantly evolving, just as they have for the past century. New technologies and creative engineering have helped improve both the safety and performance of motorcycles, and will continue to do so in the future. What will be the next big thing? We can’t wait to find out.